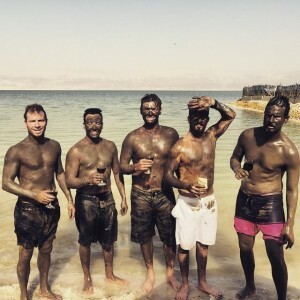 Appearing in promotional shots in mud blackface, the Backstreet Boys besmirched themselves not only by flaunting the Palestinian-led boycott of Israel, but by becoming complicit with Israel’s crimes against Palestinians, marketing apartheid products. 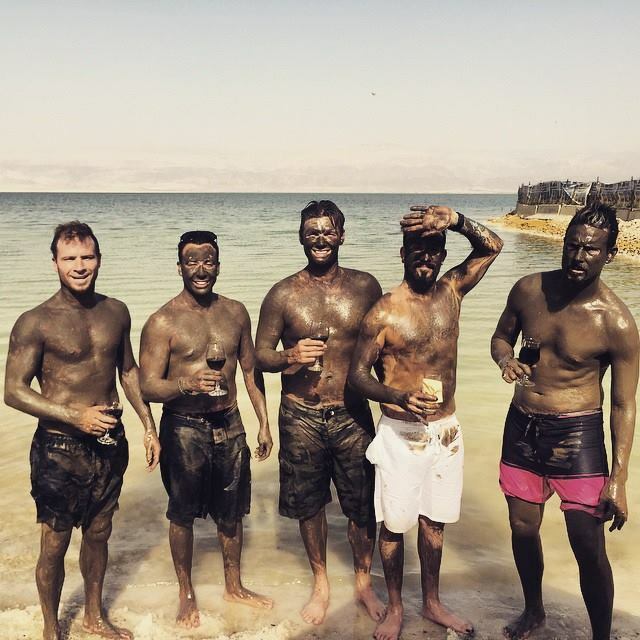 Photographed frolicking in the Dead Sea to promote Premier Dead Sea Cosmetic Laboratories, the Backstreet Boys muddied their own brand with Israel’s colonial, apartheid crimes. Premier Dead Sea, an Israeli company which is part of the Hadan Group and located in Lod, was ousted from Dundee and Sligo in 2011 after successful BDS campaigns. Along with accepting more than $1m for their three performances at Ra’anana in May 2015, the Backstreet Boys allowed themselves to be used for brazen rebranding of Israeli settler colonialism, brutal military occupation, apartheid and theft with photo sessions in Occupied Jerusalem and the Dead Sea. Did the band receive more than a nice day, a mud beauty treatment, a meal and Goodie bags for their promotional photos? Deployment of celebrities to pad Brand Israel reflects a desperate need to obscure an international image which becomes dirtier by the day. Support BDS of apartheid Israel in 2015! and meanwhile, read about the fantastic accomplishments of the BDS movement in 2014. From their burgeoning colonies in the outer solar system, the Zenoids inflicted a complete blockade on Earth. A fleet of these ancient feathered beings had arrived without warning six centuries ago searching for a vulnerable region to establish their arboreal colonies. With their leaders refusing on the grounds of self-defence to set clear borders, the Zenoid colonies moved closer and closer to Earth, establishing permanent lofty fortresses as they advanced. The Zenoids promised the Earthians a planet of their own only if they would renounce resistance and accept Zenoid needs for numerical superiority and security. The colonists laid claim to one planet after another. In vain, the Earthians struggled to confront the Zenoid occupation and gain freedom to travel the universe. Whenever the Zenoids commenced their regular assaults on Earth’s meagre defences, the Earthians fired rockets toward the gravitic force field which imprisoned them and at the invading Zenoid colonies themselves. The Earth rockets’ guidance systems and payloads were primitive and pitiful compared to the powerful Zenoid arsenal which scorched the Earth in catastrophic reprisals when the Earthian rockets retaliated against Zenoid attacks. Ingeniously, the Earthians developed communication wormholes to breach the force field and now and then pleas for assistance sped across the spacenet. As soon as they were detected, the wormholes were imploded by the Zenoids with great loss of life at the tunnel entrances on Earth. 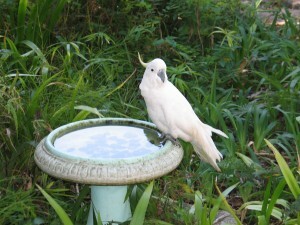 The Zenoids shook their feathers and shrugged. With nothing to lose and nowhere else to go, the Earthians did not surrender. In desperate resistance, they fired even more rockets at the expanding Zenoid fortresses, signalling to the rest of the galaxy that support was needed urgently. Yet noone came except a few dignitaries from the Full Galactic Spectrum empire who promised sincere dialogue and peace negotiations whilst affirming the empire’s unbreakable primary relationship with the Zenoids. Earth had never been admitted into the Grand Galactic Council. Year after weary year, the Zenoids proclaimed to the Council and its sponsors that any alteration to the status quo would damage their self-evident right to self-defence and security. With its involvement conveniently blamed on Zenoid machinations or ignored, the opportunistic Spectrum Empire armed and enabled the Zenoid colonisers in return for new weapons pretested on the Earthians and a swag of promising asteroid mining leases. As usual when there were unidollars to be harvested, the Full Galactic Spectrum empire distanced itself and its own genocidal expansionist record from the Zenoid colonists’ gross being rights violations and universal war crimes, exonerating itself and its feathered friends, always insisting on the dominant right of the Zenoids for security. In neighbouring solar systems, the Empire contentedly conducted lucrative brutal interventions and development projects while horrified beings elsewhere were distracted by devastating Zenoid crimes against the Earthians. Powerful planets with long, dastardly histories of galactic colonisation and veiled schemes of their own supported the Zenoid invaders openly. In the Grand Galactic Council, however, some decolonised members recoiled from the actions of the Zenoids, summoned their legal advisors, ejected Zenoid diplomats and refused to trade with the colonisers. Across the galaxy, while planetary elites plotted advantage and convoluted Zenoid propaganda enveloped the newspacenet, prescient beings with consciences mobilised around the call of the Earthians to boycott the Zenoid colonies, to isolate and pressure the Zenoid rulers into changing their belligerent ways, for this tactic worked before when invaders attempted planetocide and systematic oppression of hapless pre-existing inhabitants. As pressures mounted upon them, the Zenoids decided to strike – it was time to crush the annoying Earthians completely and conquer the final frontier. A new pretext was devised whereby the Earthians would be blamed for the coming Zenoid attack. Soon the Zenoid droneships were pummelling the bright blue planet, obliterating Earthians and their homes with abandon and impunity. From the rest of the universe, the Zenoids demanded sympathy.